Oatmeal! Great breakfast choice. 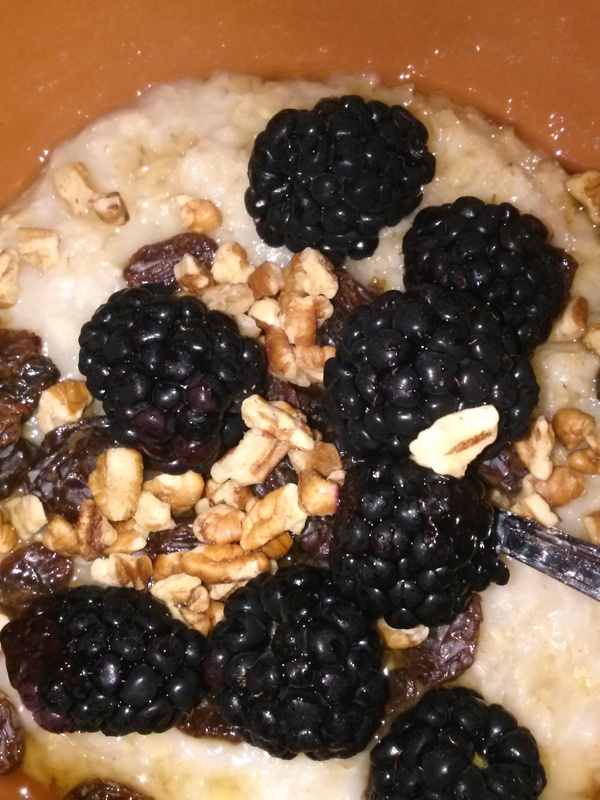 I like to use raw nuts, fresh fruit, raisins, and raw unfiltered honey to make my oatmeal more filling and delicious. I've also discovered that oatmeal with eggs combined makes a really powerfilled breakfast and can hold you up to 3.5 hours. Try it for yourself!